Only fifty of these models will be produced, with three being available in the United States, one in Asia and one in Europe. People who already own five or, in some cases, fifteen models of this brand, will of course have priority in the purchase. 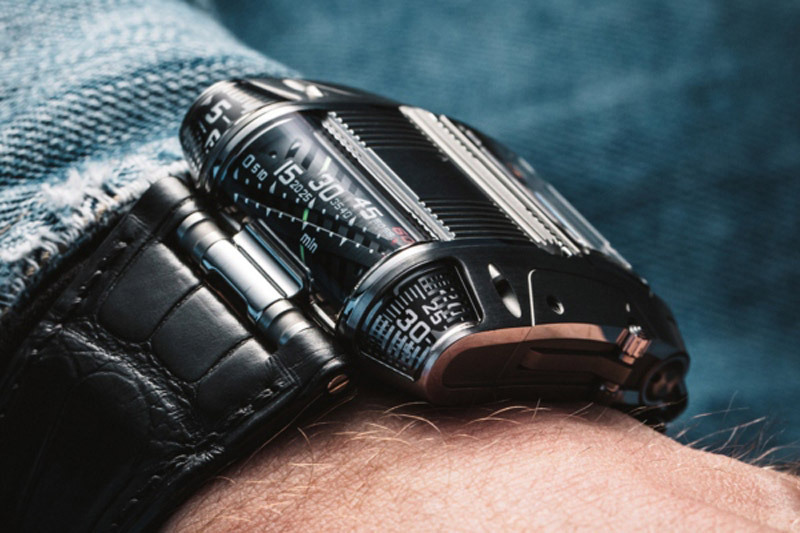 A $135,000 novelty will come in a metal version that is PVD treated or polished, and has a unique body design, a crown and a time display. 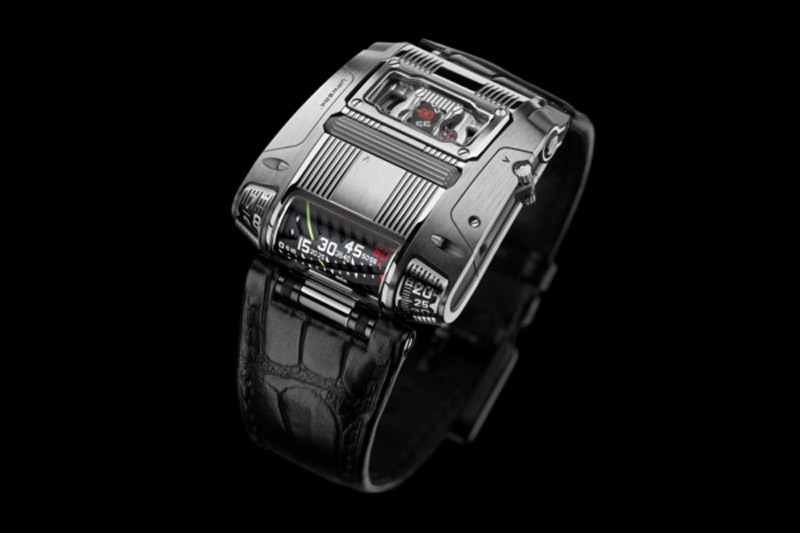 Separating from the recognizable Urwerk satellite system of the time display we are accustomed to when it comes to their models, the UR-111C uses a long roller crown that moves in both directions to show us hours and minutes. Hours and two versions of minutes are shown in the cylindrical sapphire on the right side of the watch, which will make it easy for you to read the exact time, while for example, driving. Minutes located in the central part of the cylinder are presented in a linear scale ranging from 0 to 60. Hours are represented on the conical drum in the left corner, while the seconds are placed on the right. 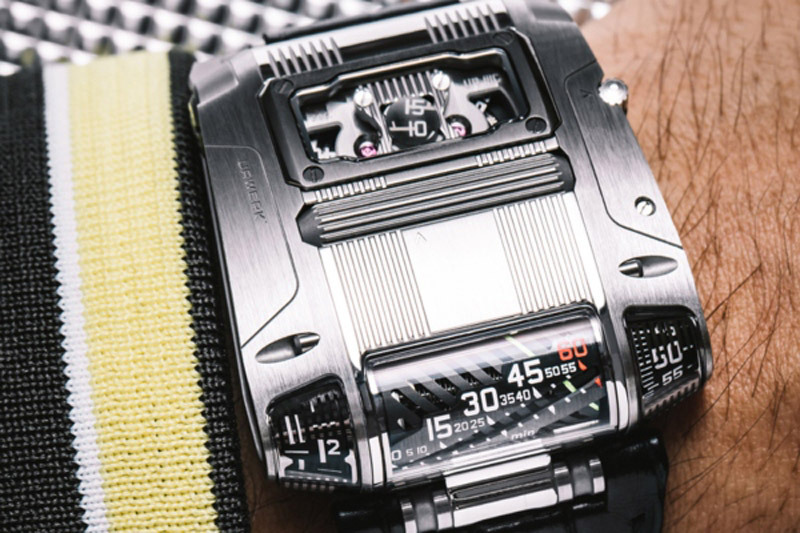 The production of this watch is so challenging that Urwerk manufactory, which employs 17 watchmakers, can produce only three models per month. This watch is bulky, just as it should be, because he has to tell his story. However, with a width of 42 mm, a length of 46 mm and a thickness of 15 mm, it is not so bulky on the wrist as you would expect. This model still has an energy reserve of 48 hours.